Approved by Good Housekeeping 2018! A true Christmas classic, the Prestige Hampers Traditional Gift Basket in premium wicker packed to the brim with the finest collection of products guaranteeing a very Happy Christmas to its lucky recipient. Accompanied by a selection of fine wines favourite treats and savoury goodness beautifully arranged inside an elegant hand woven wicker basket complete with a Prestige Hampers tag. 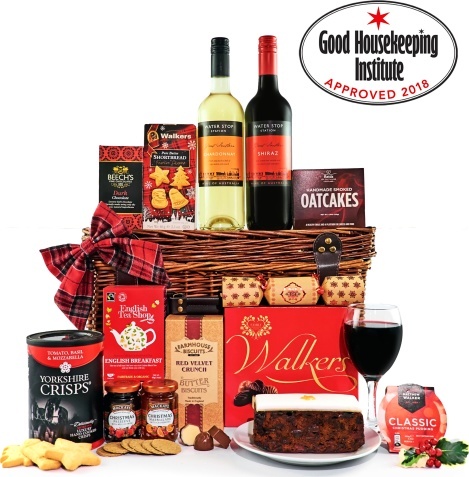 We have chosen the finest produce making this Christmas hamper a perfect gift to send this Christmas.